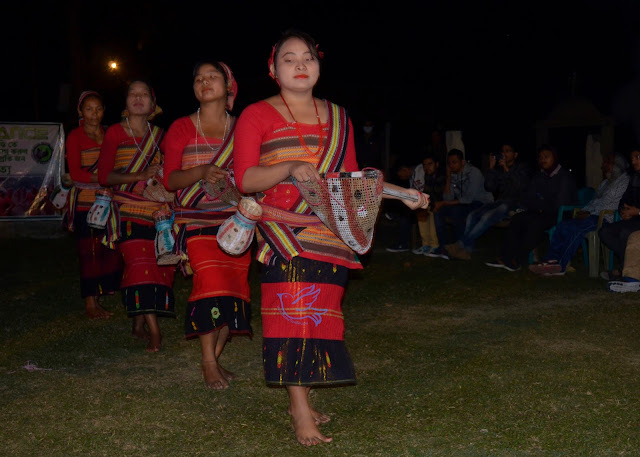 Rabha or Rava a Tribe community .Mainly forest based activity dweller Ravas of West Bengal traditionally practice a few animistic rituals . Dance and Music are the impotent part of Rava's lives .West Bengal Forest Department organizes Rava dance with song of their own dialect after every after noon safari of Chilapata forest . Rava women sing and dance in their traditional costumes.